Courtyard Marriott is at it again! 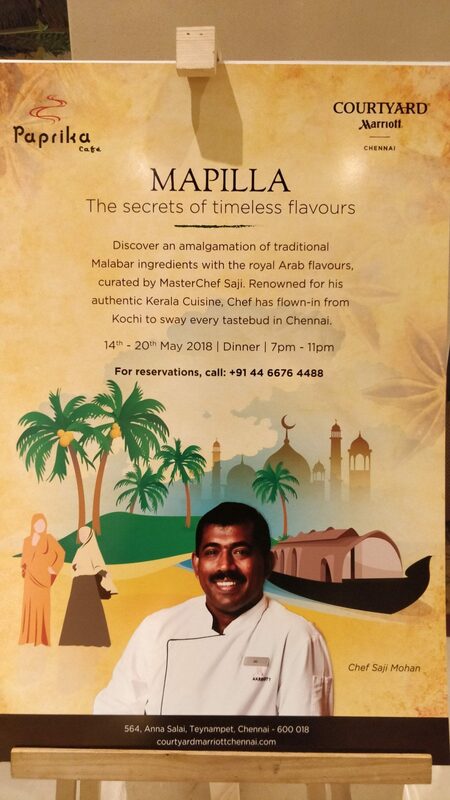 Known for organising some of the best food festivals in town, Paprika’s latest offering is the Mapilla festival — a menu curated by Chef Saji Mohan from Kerala. I was one of the lucky few to check out the festival and here’s my experience on the same. I rarely write about the decor of a place that I’ve been to a few times but where Paprika stands apart from its contemporaries is how they transform the entire restaurant’s atmosphere into what that festival is all about. With serparate counters that surrounds the seating area, the counters — some live and some with plated dishes, are aplenty here. The starters, two dishes in veg and two in non-veg are kept in one counter while there are live counters for appam and puttu. The mains are placed right next to these live counters while the desserts are kept bang opposite to the mains. Keeping in tradition, they had Nannari Sarbath which was cold and refreshing — making it a perfect companion for the spicy food that followed. 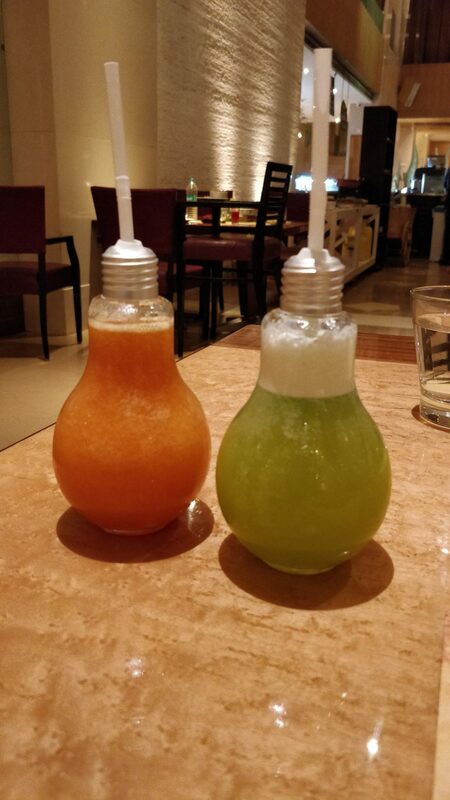 Apart from that, they also have the regular mojitos and fruit based mocktails. For starters, as I had mentioned above, there are 2 dishes each for veggies and non-veggies. 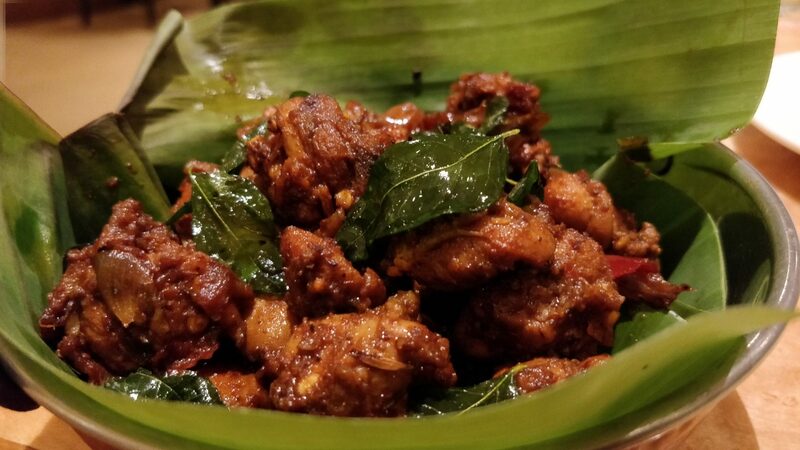 Kozhi Mulagittathu and Masala Grilled Fish are what the non-veg options are. The boneless chicken slices in the curry are lip-smackingly delicious and I finished them in no time. The Griled Fish too was cooked to perfection with the right balance of masala. On the veggie front there’s Kozhikaal (Tapioca) and Vegetable cutlet. 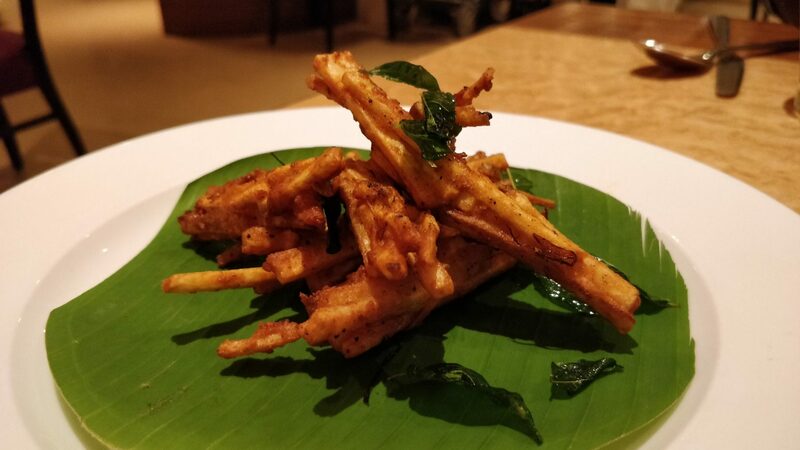 The Tapioca slices are cooked as a bunch which gives them the look of chicken legs which justifies the name. As it’s cooked in such a fashion, the outer pieces are cripsy while the inner ones are soft. This lovely snack would be something one can have any day. The cutlet didn’t find a fan in me though. 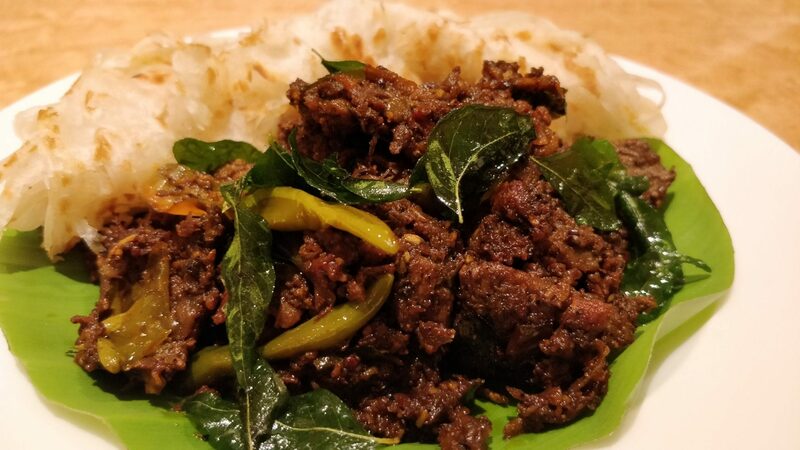 What’s a Keralan meal without beef? Their Beef Roast along with their Parotta was a killer combo. The beef was slices instead of chunks and that helped in masala adhering more to the pieces which resulted in more flavour in every bite. The fluffy parotta was the best sidekick the meat could ask for. 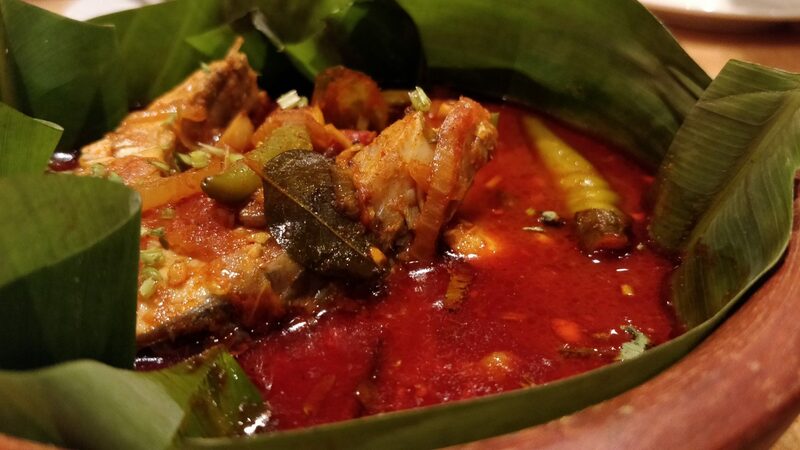 Meen Mulaguchaar, as the name gives it away, is a fish gravy with the right amount of ‘kick’. Though not something a Tamil palate would appreciate, it was still yummy. 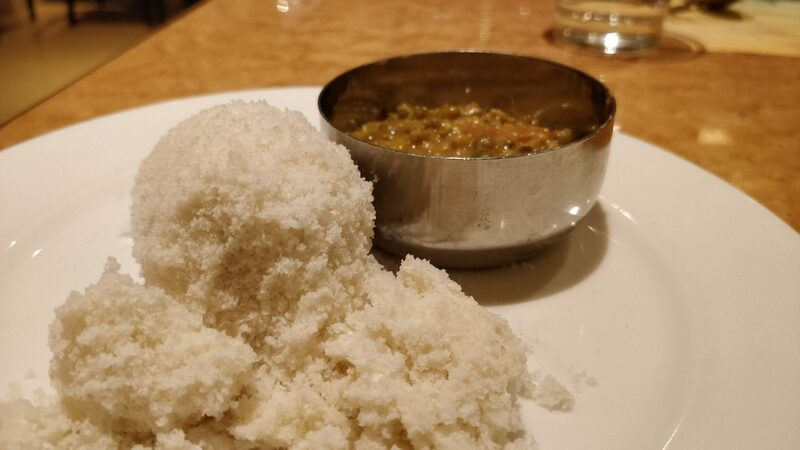 One of the live counters served Puttu with kadala curry and if that’s not Keralan enough for a menu, I don’t know what else will. Steamed to perfection, this classic dish was just too good. And of course, there’s the legendary Appam as well with chicken stew. 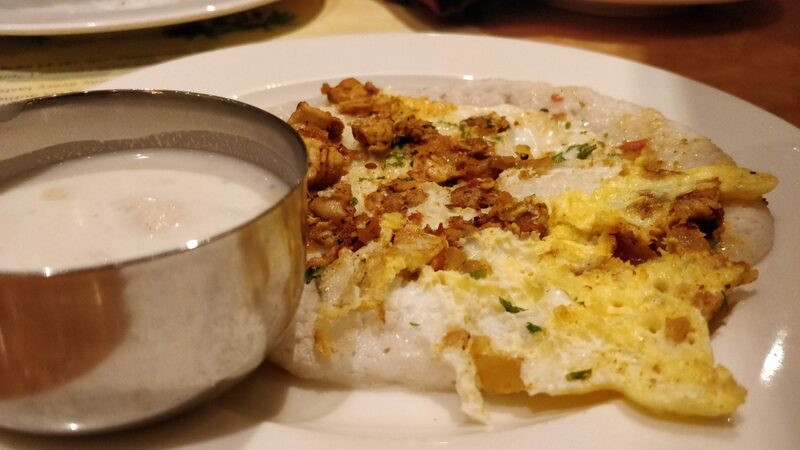 Cooked with an egg and mutton shred toppings, the appam was perfect but what made it better was the utterly delicious stew which was out of this world. Apart from this, they also have biriyanis which keep changing on a daily basis. On the day I tried, they served the Malabar Chicken Biriyani, which, fortunately, wasn’t the variety in which they use dry fruits. They also have a splendid collection of pickles right from the basic lemon ones to fish pickles too. To be honest, I forgot the name of this one particular dessert. But it’s easily one of the most unique ones I’ve ever tried. It’s a mix of crushed ice, a few fruits chunks, raw mango pieces, Bengal gram dal, passion fruit seeds and a couple of fruit-based syrups. 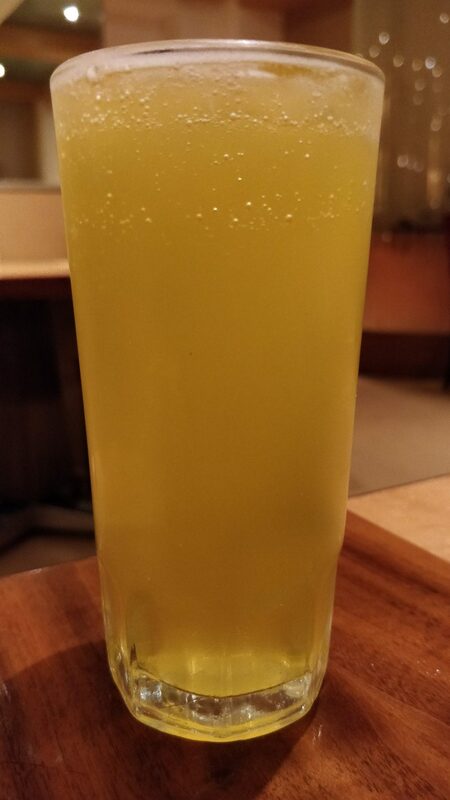 As you can imagine, the amalgamation is nothing short of a burst of flavours in ones palate. Apart from the regular desserts, keeping in tune with the festival, they also serve Calicut Halwa and Paruppu Payasam. Sticky yet brilliant, the halwa was the clear winner but the payasam too, which was a tad watery, was a decent end to such a scrumptious meal. On the whole, it was yet another experience worth remembering with the folks at Courtyard Marriott. With some amazing dishes that brings out the culture and tradition of a neighbouring state we assumed we knew everything about, it was a lovely evening to spend. Throw in some impeccable service folks and that’s the perfect recipe for a wonderful dinner.